The only way to succeed in this competitive world of online coaching is if you hustle, day in and day out. Or is it? Amy Birks says it's time to quit hustling. But some fear that if they stop hustling like Gary Vaynerchuk they'll sabotage their hard-earned success. What if they could actually get better results by working less and having more fun? 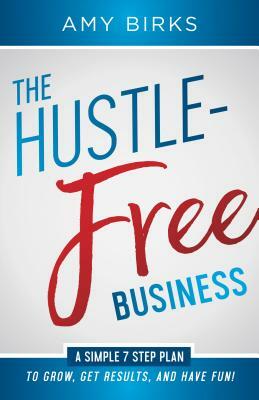 The Hustle-Free Business dispels the myth that "hustle" is the only path to success. Amy Birks, The Strategy Ninja, has developed an indispensable 7-step process to help frustrated, overworked coaches generate the results they really want. No overtime required. If Amy Poehler and Harvey Keitel's "The Wolf" from Pulp Fiction had a love child, Amy Birks would be it. Her block-busting, no-nonsense, take-action-now style of coaching pairs perfectly with her irreverent wit and unrestrained enthusiasm for helping her clients bring their epic missions to life today. Not tomorrow, not someday. TODAY.